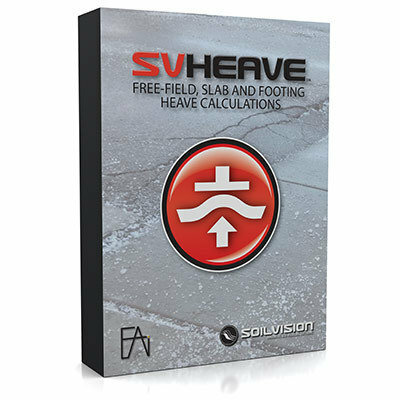 SVHEAVE™ is a modeling tool that simplifies the calculation of soil heave for swelling clays. Free-field, slab and footing heave results are easily obtained with the input of soil data and footing design parameters. An easy-to-use graphical user interface allows geotechnical engineers to simulate a wide variety of situations common to industry practice.